Where is the green frog hiding? Maybe it’s next to the blue mouse? Matching Game Animal Friends is a classic matching game. The lovingly designed matching blocks also invite children to observe and remember. Simply and playfully, they learn animals and colors, while improving their concentration skills. 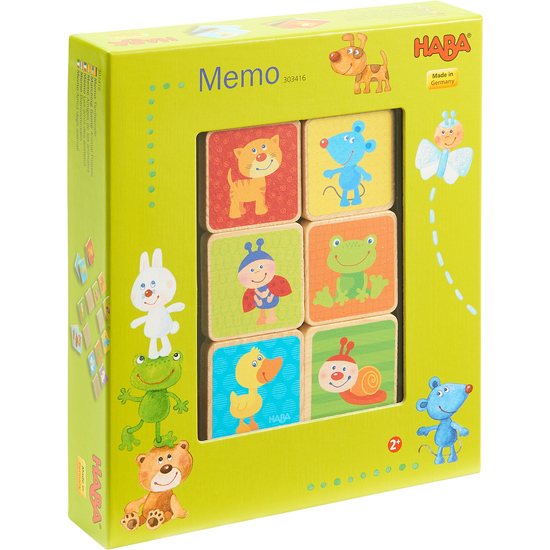 Contents: 20 matching game blocks.